There are the reasons of disappearance of order and membership info. 1. 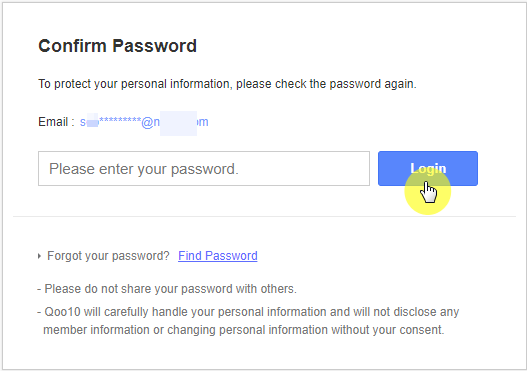 Have you signed in with SNS account? Maybe your order list exists at another member account. 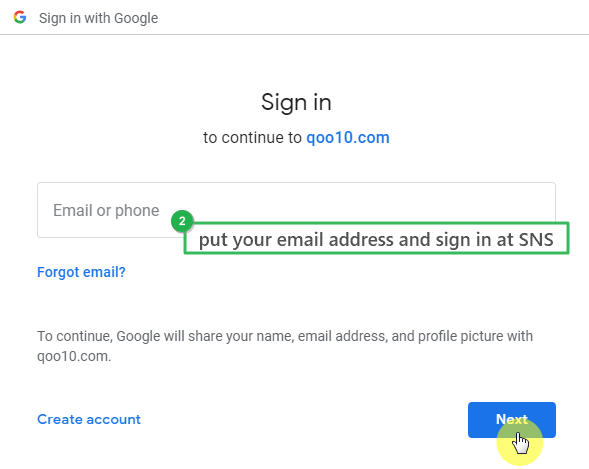 Users can sign in with Facebook / Google / LINE / Kakao account at Qoo10 Global, instead of joining as a member with email address. 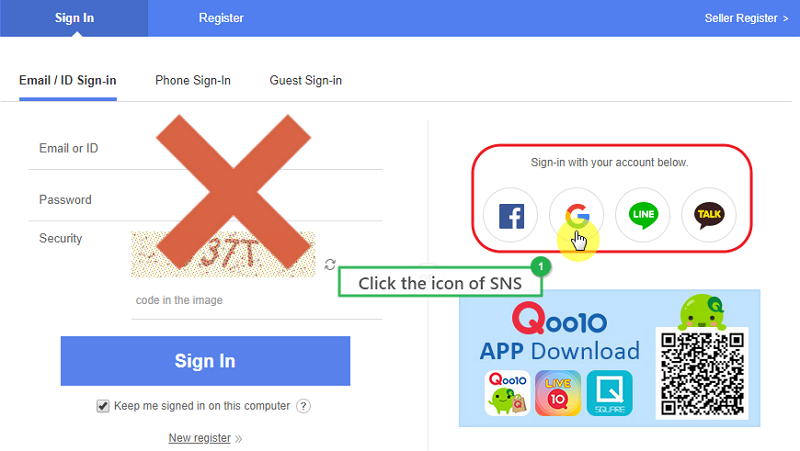 In this case, please select SNS account at sign in page instead of putting email address and password. 2. 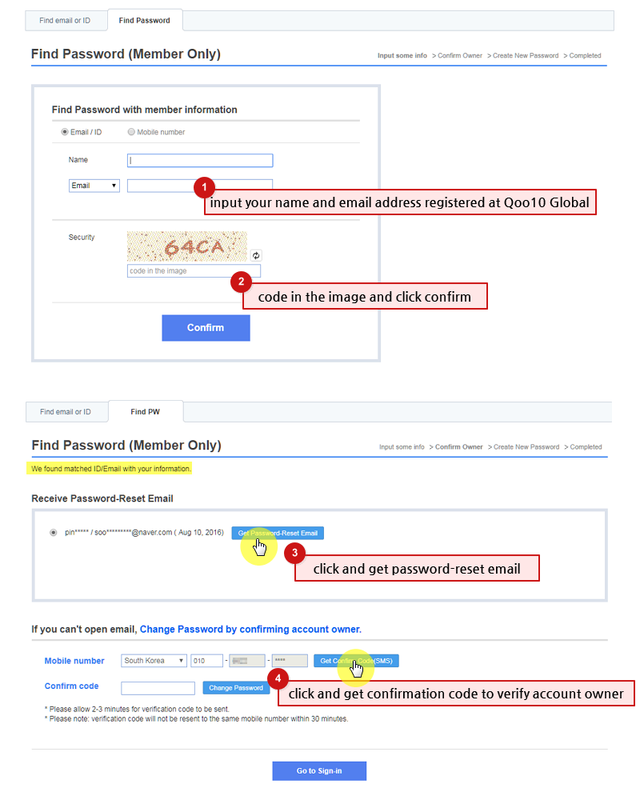 Are you a member at Qoo10 Singapore? This is Qoo10 Global. Please go to Qoo10 Singapore site. Qoo10 provides special benefits for our valued customers. Customers can earn Qoo10's Qpoint by clicking confirm delivery button in Recent Orders menu. Please remember that you should click confirm delivery button to confirm that the item has been delivered successfully. Then you will receive Qpoint equivalent to 1% of your purchase price (i.e. S$5.00 purchase = 5 points) up to maximum of 10 Qpoints per purchase. Customers can win Qpoint free by attending Qoo10 app or website. Please visit Q-lounge and attend daily, and play Roulette Q. You can get Qoo10 membership benefit such as Qpoint, coupon, Giftcard by playing it. Qpoint can be used to waive the payment upon ordering at the payment step. Kindly check the conditions to use Qpoint. 1. maximum up to 30% of the total purchase amount is able to waive off by Qpoint, minimum required Qpoint is 100 up to 500 points. 2. Qpoint application is based on 100 points per unit. (100 Qpoints equivalent for S$1.00). MameQ is a benefit of Qoo10 membership. You can exchange MameQ to Qpoint at Q-lounge. Click here to reach Q-lounge page. At mobile, you can get to Q-lounge at the menu. You need Mameball to get MameQ. You can obtaion Mameball at MameGo! page. If you have enough Mameball, go to MameGo page at Qoo10 mobile webpage or shopping app to catch MameQ. Please note that MameQ is valid for 1 year. We want you to have the best online shopping experience with us. 1. Check your Shopping List : Ensure all transactions are completed. 2. Check your Q account: Withdraw any remaining amount in Q account.